Attentive to the food concerns of the senior population in Grand Rapids, Meals on Wheels demonstrates that the most effective approaches to tackling broad needs are often focused on the specific. This year's Walk for Good Food brought together 750 participants and raised over $43,000 for a number of recipient organizations, all working to promote systems of food that are fair, healthy, sustainable, and affordable. The need for good food is evident and extensive. Each individual around the world requires food to survive, and systems of food that are healthy, fair, affordable, and sustainable are catalysts for flourishing communities. While this need is not unique to Grand Rapids, a number of local not-for-profit organizations have adopted unique strategies for addressing it. Meals on Wheels, a multifaceted organization that coordinates meal delivery, fresh produce voucher programs, and a number of pantry locations, recognizes the need for good food both in Grand Rapids and worldwide. As well as addressing the dietary needs of seniors, they provide resources for counseling, utility help, and nutrition education. The mission of Meals on Wheels reflects an important principle in charitable work: while many community needs are broad and far-reaching, the most effective approaches to tackling these issues are often focused, spotlighting a singular niche or community margin. For Meals on Wheels, this focus is the senior community. Many seniors face the obstacle of transportation. While insignificant to some, the physical barrier food presents becomes a significant struggle for seniors living without easy access to grocery stores or regular transport. 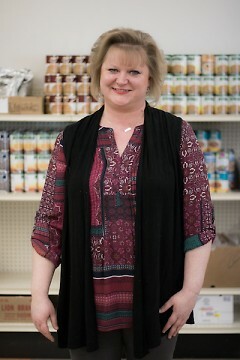 The senior population of Grand Rapids is united in age but not necessarily locale, and Meals on Wheels is addressing this need with an increasing number of pantry locations and services. Future plans include the introduction of more mobile pantries, as well as a transit van. This year, the partnership between Meals on Wheels and the Access Walk for Good Food is working to meet that goal. Funds from this year’s Walk will be put toward Senior Project Fresh, a statewide program which provides nutrition education and coupons to seniors to be used at local farmers markets. Plainsong Farm works to catalyze a Christian food movement: "Ten acres and large questions"
The optimistic vision of HQ to address youth homelessness: "Our work ultimately is very human work"